I think this is the perfect pasta dish for those last few lazy days of summer. 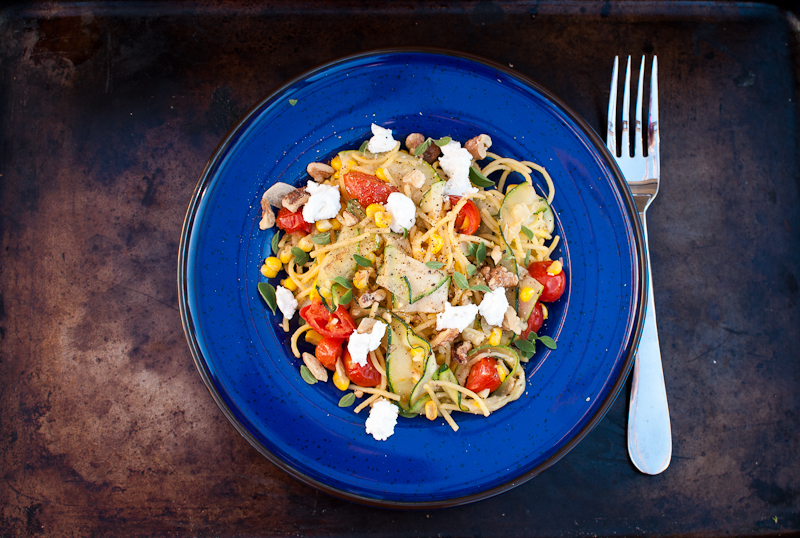 Not to heavy, we are still in summer ya know, but just enough pasta to satisfy that craving, and tons of tasty vegetables to offset all those carb loaded noodles. You could add any combination of vegetables here, whatever you have growing in your garden or what you have stashed away in your fridge…get creative! I used my mandoline slicer to “ribbon” my zucchini, if you do not have one of these, no big deal. Use a vegetable peeler to slice them, the first few slices won’t be so pretty, but the rest will turn out perfectly. Cook pasta till al dente or your preferred doneness, reserve 3/4 cup of the pasta water. Heat oil in a large skillet over medium heat and cook the garlic and corn with salt and pepper. Cook about 4 mins until corn is tender. 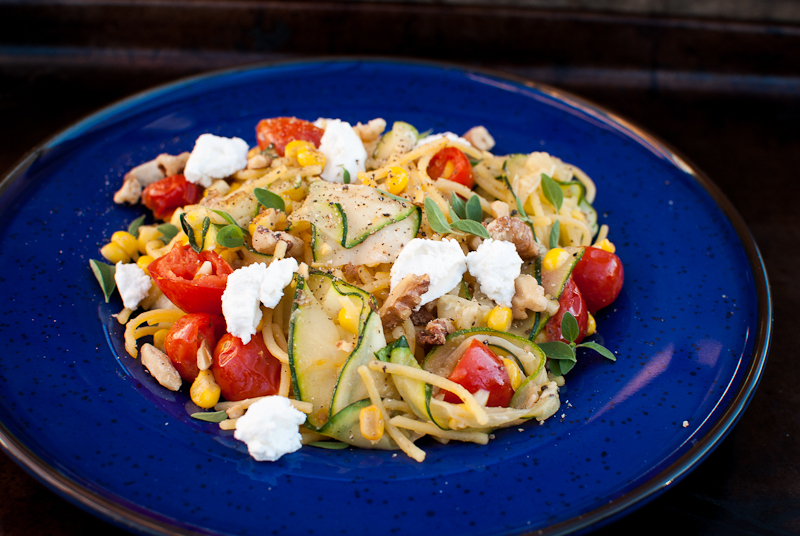 Add the corn, tomatoes, zucchini and 1/2 of the pasta water to the cooked pasta in a large pan. Cook over medium heat until liquid is slightly thickened and coats the pasta. Serve with oregano, walnuts and goat cheese sprinkled on top.